The iconic musical Cats will return to the London Palladium later this year, playing a final ten week season from 23 October 2015, having already seen its West End revival earlier this year which was a huge success. Andrew Lloyd Webber’s creation will go on sale on 14 May for the run, which plays from 23 October 2015 to 2 January 2016. Casting is yet to be announced for the production’s strictly limited season, however the original Palladium run has already seen pop star Nicole Scherzinger and musical theatre star Kerry Ellis play Grizabella. Later this year Cats will tour to Blackpool ahead of its return to London, and the iconic singer Jane McDonald will play the iconic role of Grizabella. These three women follow in the footsteps of the original Elaine Paige creating the role. Lloyd Webber’s musical is directed by Trevor Nunn, with choreography by Gillian Lynne and design by John Napier. 2014’s high-profile return of the show reunited the original creative team, including director Nunn and choreographer Lynne. The musical takes inspiration from T.S. Eliot’s poems about the feline creatures to tell the wonderful story of the Jellicle cats and the Jellicle ball. Its triumphant return to the West End last year was a delight for its original – and new – fans. Only recently did it close after its Olivier Award-nominated run. Featuring much-loved songs including Mr Mistoffelees, Macavity: The Mystery Cat and the iconic Memory, given its resounding success by Paige as Grizabella, Cats was first staged in 1981, when it went on to run for a record breaking 21 years. The show continues to delight fans and be a favourite amongst musical theatre enthusiasts as it is now enjoying further success from 2014 to 2015 and onwards. Addams Family Musical To Make Its West End Debut? The long-awaited debut of the musical version of The Addams Family, which premiered on Broadway in 2010, may finally be setting its sights on London’s West End. The show has been rumoured to be heading to London since it opened on Broadway five years ago, where it defied critics who had no faith that the musical would even survive this long. The ‘page-to-stage’ show opened to poor reviews but proved to be a box office hit with US audiences. It is based on the family of characters created by cartoonist Charles Addams, including parents Morticia and Gomez, children Wednesday and Pugsley, Uncle Fester, Cousin Itt and a butler named Lurch. The show features music and lyrics by Andrew Lippa and a book by Marshall Brickman and Rick Elice. Despite the rumours that was coming to the West End, the transfer never materialised. Many productions have been staged in the UK since its premiere in the hope that the show would transfer across the pond – including at last year’s Edinburgh Fringe – however amateur rights have been restricted ahead of a professional London production. 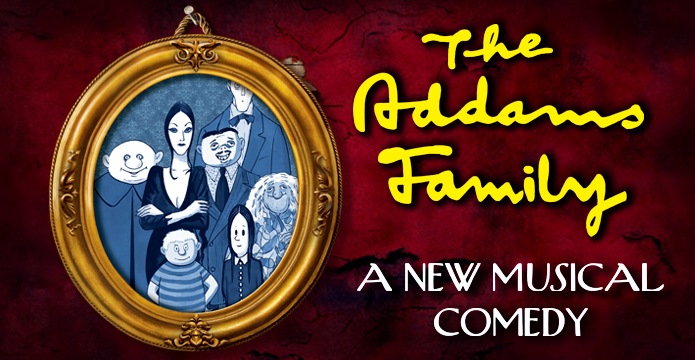 Recently however, a representative of Theatrical Rights Worldwide released a statement announcing: “The Addams Family musical authors are considering many exciting opportunities for The Addams Family in the UK territory, including the West End. At present, amateur rights remain fully available as hundreds of organisations prepare for their local productions.” It is apt that the London venue remains a mystery, but fans would be delighted with an opening in the capital. It is thought that producers hope to open the show in late 2015 or early 2016. Christine Baranski, Russell Watson and Ruthie Henshall are set to star in a concert production of Stephen Sondheim’s musical Follies at the Royal Albert Hall on 28 April. Directed by Craig Revel Horwood, with choreography by Andrew Wright, the music for the production will be performed by the City of London Philharmonic Orchestra. The Follies musical, performed in the West End in 1987, reached London after successful stage productions across the US, including in Manhattan, Los Angeles, Michigan, Texas, Washington and Massachusetts. Follies went on to experience a world-wide theatre revival between 2001 and 2013, where it was then performed at the Toulon Opera House in France. The musical has its historical roots in 19th century Parisian musical theatre. Follies first hit Broadway in 1971 and enjoyed 522 performances across New York. 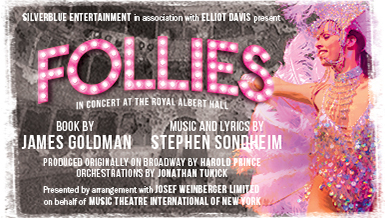 Written by Sondheim, one of America’s most renowned musical theatre composers, Follies benefitted from Sondheim’s huge musical talent. Oscar Hammerstein II became a surrogate mentor to Sondheim, who was rapidly enchanted with musical theatre. The inspiration for Follies came from reading a New York Times article about showgirls from the real-life Ziegfeld Follies and their lives. A story was created focusing on two ex-showgirls who attend a reunion act for the Weismann Follies. Based on the Ziegfeld Follies, which entertained America in the roaring 20s, the story tells us how showgirls performing in the US became celebrities very quickly. Despite this, fame was fickle, and short-lived for most. Follies has been just as much a success recently as it was in the 1970s. It has thematic implications for feminism and women’s emancipation, which first struck a chord with the American political classes. The narrative focuses on the culture behind making stars of people overnight, and the fascination with celebrity life. Unsurprisingly, the musical won seven Tony Awards in 1972, including Best Score for Sondheim. Sleepless In The West End? 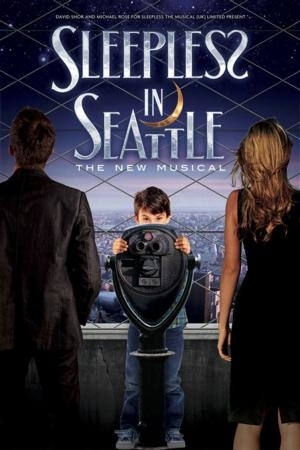 Rumour has it, the brand new musical adaptation of the classic 1993 movie Sleepless In Seattle could be making its way to the West End in 2015, delighting fans all over. Having recently had its world premiere at the Pasadena Playhouse in June, Sleepless In Seattle: The New Musical hopes to bring the show to the West End and Broadway before embarking on a worldwide tour. The show’s management team have launched a Crowd Funder campaign to raise a whopping $2.5 million, and are already 80% of the way there, having raised $2 million so far. The plans aim to redevelop the musical in the spring of 2015 before opening it in London later in the year. The Crowd Funder campaign has meant that a mechanism has been provided to enable smaller investors to be able to participate in bringing Sleepless in Seattle to the stage. It is an equity arrangement and differs from other fundraising vehicles, such as Kickstarter, in that the team is not requesting contributions. The link will be left active for a maximum of 60 days or until it has been fully subscribed. The iconic romance story follows widowed architect Sam Baldwin as his young son encourages him to find love again. The classic tale is filled with charm, romance and wit; the fresh and lively book by Academy Award-nominee Jeff Arch (the film’s original writer) blends easily with the beloved movie. The brand new musical score bursts with heart and humour, giving audiences everywhere a foolproof recipe for a theatrical affair that will be remembered forever. Alan Parker’s world renowned musical Bugsy Malone is set to re-open the Lyric Hammersmith next year, when the venue completes its multi-million pound redevelopment. The revival, which is directed by the Lyric’s Artistic Director Sean Holmes, will run from 11 April and is the first professional production of the musical to be staged in the UK for more than a decade. Set in the Prohibition era of New York, the show tells the story of rival gangsters Fat Sam and Dandy Dan as they wreak havoc with the help of custard pies and destructive splurge guns. After penniless ex-boxer Bugsy Malone falls for aspiring singer Blousey Brown, the question on everyone’s lips is will he be able to resist seductive songstress Tallulah and stay out of trouble, while helping Fat Sam defend his business? Based on the acclaimed film of the same name, Bugsy Malone features music and lyrics by Paul Williams, choreography set by rising choreographer Drew McOnie and designs by Jon Bausor. The newly refurbished venue, which is undergoing its first major reconstruction for 35 years, will also feature the Reuben Foundation Wing, a two-storey extension that will house a wide range of new facilities including dance, TV and recording studios, a screening cinema and a digital play space. 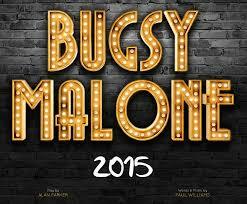 For Artistic Director Holmes, Bugsy Malone is the perfect show to open the new Lyric. The project has taken years of planning and fundraising, and two years of construction work on site, but 2015 will see something special unveiled. The team at the theatre maintain that there won’t be another producing theatre in London quite like it and there will be no better place for young people and emerging artists to develop their creative talents. 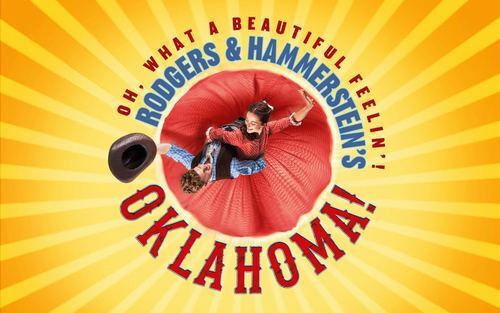 Rodgers & Hammerstein’s Pulitzer Prize-winning musical OKLAHOMA!, freshly directed by Rachel Kavanaugh and with new choreography by Drew McOnie, will tour the UK and Ireland next year, opening at the Derngate Theatre, Northampton, in February 2015. This new production of one of the great classic American musicals will be led by Belinda Lang (School for Scandal, Ladies in Lavender) as Aunt Eller, Gary Wilmot (Dirty Rotten Scoundrels, The Pajama Game, Chitty Chitty Bang Bang) as Ali Hakim, Ashley Day (The Book of Mormon, The Wizard of Oz, High School Musical) as Curly, Charlotte Wakefield (The Sound of Music, MAMMA MIA!, Spring Awakening) as Laurey and Nic Greenshields (Guys and Dolls, Billy Elliot, The Phantom of the Opera) as Jud Fry, accompanied by a live orchestra. OKLAHOMA!, with music by Richard Rodgers and book and lyrics by Oscar Hammerstein II, was based on Lynn Riggs’ play Green Grow the Lilacs; it was the first musical written by the duo. It was originally produced on Broadway in 1943 and the Academy Award-winning film was released in 1955. Set in Oklahoma, US in the early 1900s, the musical tells the story of two sets of star-crossed lovers. Cowboy Curly loves Laurey, Aunt Eller’s niece, but Curly’s rival is the mysterious Jud Fry. Their stories are told with the help of some of the best loved songs in musical theatre repertoire, including Oh, What a Beautiful Mornin’, I’m Just a Girl Who Can’t Say No, People Will Say We’re in Love and Oklahoma. Presented by Music & Lyrics Limited, this award-winning nationwide consortium is comprised of the UK’s major independent touring theatres. It aims to champion music theatre in all its forms and provide extended life to productions created by the UK’s major producing theatres. It is committed to presenting major musical productions to large and enthusiastic audiences. Former Pussycat Doll Nicole Scherzinger will make her West End stage debut this year when she takes to the stage as Grizabella in Andrew Lloyd Webber’s record-breaking musical Cats. The musical, directed by Trevor Nunn and choreographer by Gillian Lynne, will return to the West End for a strictly limited run from 6 December at the iconic London Palladium. Having trained in theatre and dance at the Wright State University in Ohio, Scherzinger found fame with American pop group the Pussycat Dolls which sold 50 million records worldwide. She has since enjoyed success as a solo artist, selling 16 million records and having number one singles in the UK. In 2011 she joined the UK version of the X Factor as a judge and also performed one of Lloyd Webber’s songs at the Royal Variety Performance, “Phantom of the Opera”, alongside John-Owen Jones, Ramin Karimloo, Earl Carpenter and Simon Bowman. Also joining the cast will be Zizi Strallen (niece of Bonnie Langford, sister of Summer, Scarlett and Sasi) as Demeter alongside Cameron Ball (Macavity/Admetus), Kathryn Barnes (Tantomile), Cassie Clare (Cassandra), Ross Finnie (Skimbleshanks), Charlene Ford (Bombalurina), Adam Lake (Alonzo), Paul F Monaghan (Bustopher Jones/Asparagus/Growl Tiger), Joel Morris (Carbucketty), Natasha Mould (Jemima), Benjamin Mundy (Coricopat), Joseph Poulton (Quaxo/Mistoffelees), Nicholas Pound (Old Deuteronomy), Sophie Ragavelas (alternate Grizabella), Clare Rickard (Jellylorum/Griddlebone), Adam Salter (Bill Bailey), Laurie Scarth (Jennyanydots), Hannah Kenna Thomas (Victoria/White Cat), Callum Train (Munkustrap) and Dawn Williams (Rumpleteazer) who are joined by swings Ryan Gover, Barry Haywood, Alice Jane, Grace McKee, Dane Quixall and Libby Watts. Jean-Luc Choplin, the director of the Théâtre du Châtelet in Paris, has brought many American musicals to his Paris stage in recent years, with a focus on the work of Stephen Sondheim, in English with French subtitles. 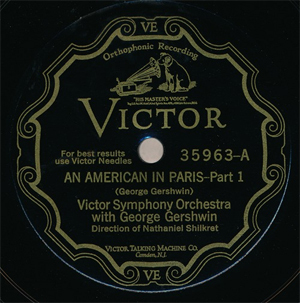 Recently it was announced that he is co-producing a new musical version of the Oscar-winning 1951 MGM movie An American in Paris, with music and lyrics by George and Ira Gershwin. Châtelet has many links with Broadway: it presented Show Boat in 1929, two years after its Broadway premiere, and under Choplin, its presentations of American musicals have included West Side Story, My Fair Lady, The Sound of Music, Carousel and Sondheim’s A Little Night Music and Sweeney Todd. This season it is offering the return of My Fair Lady in December as well as new productions of Sondheim’s Into the Woods in April, and Rodgers and Hammerstein’s The King and I in June. An American in Paris will begin in winter 2014, with a planned move to Broadway in spring 2015. The director and choreographer is Christopher Wheeldon, making his Broadway directing debut. A former dancer with the New York City Ballet, Wheeldon has worked on full-length ballets and excelled at storytelling and developing characters in dance. He is to create a ballet sequence for the musical that is different from the movie’s famed version. The film, which won six Academy Awards, including best picture, is set in post-World War II Paris. It starred Gene Kelly as a former GI seeking success as a painter, and Leslie Caron as the French girl with whom he falls in love. Dancers Robert Fairchild and Leanne Cope have the workshop’s lead roles, but the parts for the Paris and New York runs have not been cast. West End superstars Cats and Evita are set to be returning to the West End for limited runs at the London Palladium and Dominion Theatre respectively. 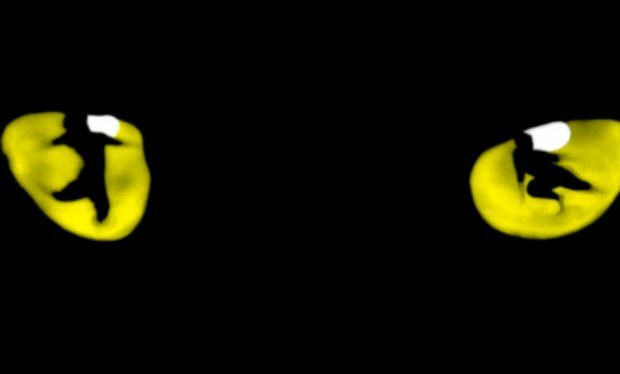 The original creative team for Cats will reunite for the December opening, with direction from Trevor Nunn, design by John Napier and superb choreography by Gillian Lynne. According to sources Andrew Lloyd Webber is re-writing a couple of songs. Further information has now been confirmed. The team are taking the Cats show that is currently touring, and will be working on it afresh. Tim Rice and Andrew Lloyd Webber’s Evita will also be retuning to West End for limited run at the Dominion starring Marti Pellow & Madalena Alberto to open in September. The production will run for 55 performances only until 1 November however Marti Pellow and Madalena Alberto will reprise their performances from the UK Tour as Che Guevara and Eva Peron, with direction by Bill Kenwright and Bob Tomson. Evita will be the first show to run at the Dominion following its renovation work and the closure of We Will Rock You. Evita charts the story of Eva Peron, wife of former Argentine dictator Juan Peron, from her humble beginnings through to the extraordinary wealth, power and iconic status which ultimately led her to be heralded as the ‘spiritual leader of the nation’. For over 30 years Marti Pellow has enjoyed global success as the lead singer of Wet Wet Wet and as a solo artist. He has appeared in The Witches of Eastwick, Chess, Jekyll & Hyde, Chicago and Blood Brothers. Madalena Alberto’s theatre credits include Les Misérables (25th Anniversary production), Jekyll and Hyde and Fame. Her first album Don’t Cry For Me will be released to coincide with Evita’s opening. The line up has been revealed for West End LIVE 2014, and it looks set to delight each and every visitor. Last year more than half a million people descended on Trafalgar Square for West End LIVE, and this year’s event promises to be even bigger and better. Now in it’s tenth year, the celebration of the West End’s top shows is a staple in the capital’s performing arts calendar. It will take on the square on 21 and 22 June. This annual festival is free to attend, and guarantees there to be something for everyone with a mixture of both West End newcomers and Theatreland veterans performing throughout the weekend. Opera fans will also be treated to performances by the Royal Opera House Chorus and the English National Opera, whilst cabaret lovers can enjoy a special show entitled 10 From 10. The cabaret sees a star-studded line-up return to their former roles to perform ten iconic songs from the last decade’s most popular West End shows. If your interest is more backstage than onstage, the Spiegeltent Theatre Emporium in Leicester Square enables visitors to take a sneak peek at the inner workings of Theatreland. As well as giving an insight into scriptwriting, costume, and special effects, there will be a talks from the cast of Handbagged and award-winning director Jamie Lloyd (Shakespeare in Love).